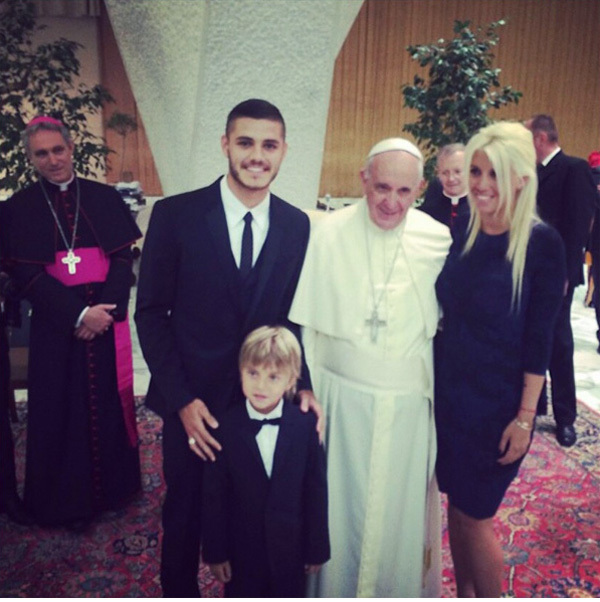 On September 2, 2014, Pope Francis embraced pin-up girl Wanda Nara, a known ‘hot model’ featured in scandalous magazines for men in Argentina. 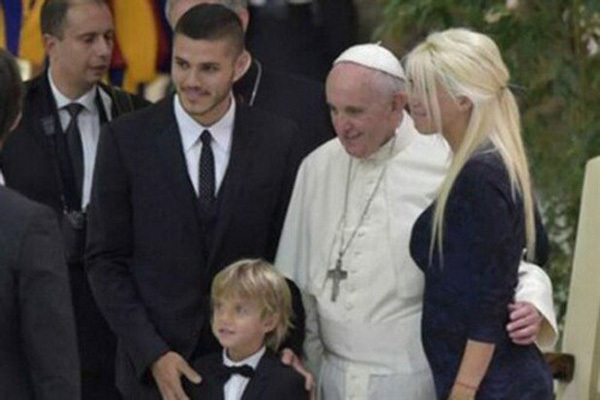 On that day he received soccer players, and Nara was there as “wife” of one of them. We reproduce some of the model's poses below to brief our readers and allow them to evaluate the inconceivable moral abyss into which Francis is dragging present day Rome. We invite them to remember the words of Our Lady of Fatima about bad customs and to offer prayers and sacrifices in reparation for this scandalous meeting.